So I’ve been a bit obsessed of late with Zion. Can you feel the momentum like I can? Things are happening. We are being prepared for big things. Perhaps it’s wishful thinking on my part, but I feel in my gut that we and our children and grandchildren will build Zion, we will BE Zion. I want to get there as quickly as possible. I’m done with darkness and misery and suffering. I can’t wait for light, truth, love, peace, wholeness, and Christ in our midst! During a recent trauma-release session with a therapist, I was asked to go to a “special place” in my mind. I chose to place myself in the center of Zion’s temple because there was no safer place I could imagine. It was awesome, at least in my imagination. I started reading this book at the end of the summer last year (after reading another of his books, Visions of Glory). 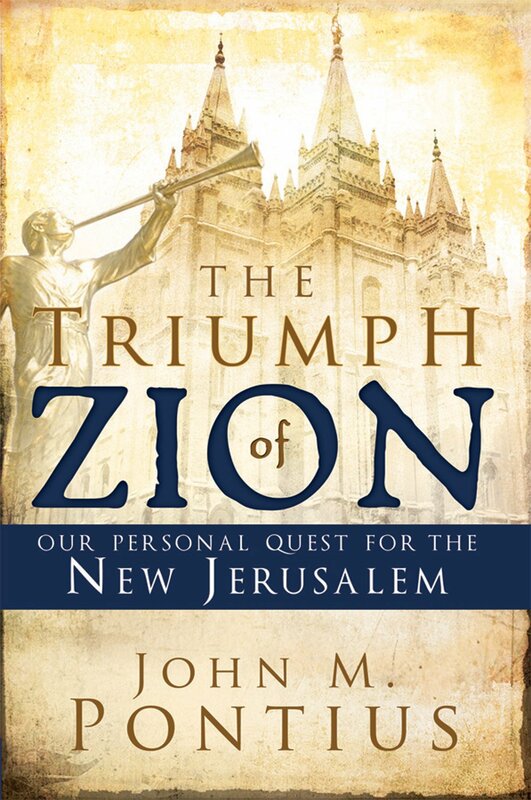 The vast amount of information contained in The Triumph of Zion made me overlook its minor flaws. I learned so much from this book about Zion, translation (the spiritual kind, not the language kind), the Second Coming, etc. There is a lot of repetition and rehashing of the same information, but I tried to see it as an intentional gift to really embed the information in my brain rather than as an editing mishap. If you want to better understand what needs to happen in order for Zion to be built, this is a great resource. After two separate strong, wonderful, spiritual women recommended this book to me, I knew it was time. I think I have marked almost every single paragraph in the book with my red pencil and stars and circles and notes. This is one of my new all-time favorite books ever. 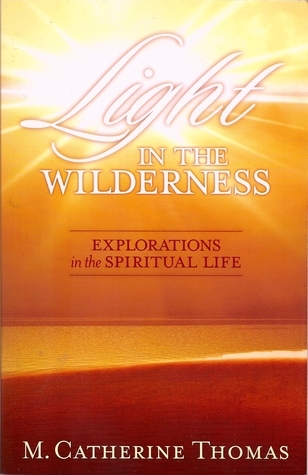 If you know Truman G. Madsen’s work, it may interest you to know that his review is quoted on the back cover of Light in the Wilderness: “This remarkable and penetrating book deals with some of the toughest spiritual issues of our time.” I discovered Truman G. Madsen as a teenager and devoured all the books my stepmom had by him. She later gifted them all to me, and I absolutely treasure them. In fact, Truman G. books were the only spiritual books I could stomach during my battle with anxiety/depression in 2012. He was the thread that kept me connected to God. I love him. Light in the Wilderness reminds me a lot of Madsen’s style. “Everything in the Cosmos is playing music based on its particular configuration and vibration. The spheres are full of music. The elements of our physical world play the music given them by their Creator, but . . . we shall see that Man can choose to a degree the energy by which he will vibrate and the music that he will play” (p. 39). “One day our former glories will be unveiled again; meanwhile, just the knowledge that we are full of unutterable wonders can light our way–yes, can cause us to question our current perceptions of reality and expand toward greater ones” (p. 64). “But setting aside a human tendency to be gripped by fearful or miserable thoughts, we can quietly, deliberately, and deeply entertain the possibility of the opposite of what the thought is tempting us to believe. What might be a truer way of looking at this situation?” (p. 82). “How important it is to realize that like is drawn to like: intelligence to intelligence, truth to truth, light to light (see D&C 88:40), but also anger to anger and pain to pain. We will draw to ourselves the sort of energy from unseen beings that we ourselves entertain” (p. 186). I can’t wait to read this book again, and again, and again. It is like a manual for becoming pure in heart, becoming Zion. As I’ve written before, if there’s one thing I’ve learned about Zion’s builders/inhabitants it is this: they SING. Over and over and over the scriptures declare that Zion is home to those who sing “songs of everlasting joy.” I got a copy of The Mozart Effect for a few dollars at Goodwill last year and promptly started devouring it. 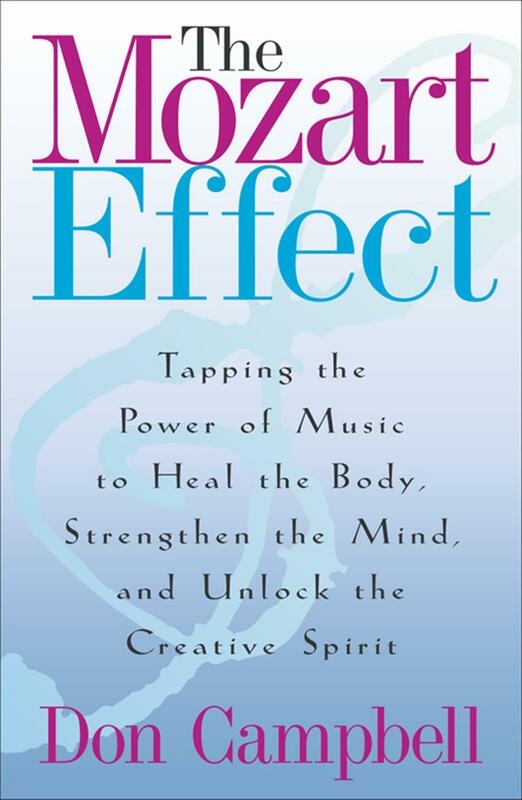 I learned so much about the healing power of music and song from this book. It’s dated (making reference to cassette tapes, etc.) since it was written back in the 90’s, but the information is still as pertinent as ever. If you want to have a better understanding of why Zion’s inhabitants will spend so much time singing (and making music, I’m sure), this book is a great overview. Ha ha! Really though. I have long felt that we were inspired to write our book when we did because it would play a part in preparing the mothers of Zion to birth and raise the most powerful spiritual army that has ever lived. You may have heard the phrase often quoted by birth advocates: “Peace on earth begins with birth.” I absolutely believe this is true. And Satan knows it too, which is why he has worked so hard to disempower women in their life-giving journeys from the very beginning of their journeys. If he can throw a wrench in a mother’s views about her body, about her own strength, her connection to her baby, her faith in her intuition from the very beginning, he’s gone a long way toward accomplishing his efforts to weaken families. But if we can strengthen a mother from the very beginning, if we can lift her and support her and help her discover her own power and intuition, we have made huge strides toward weakening Satan’s influence over that particular family. The Gift of Giving Life can strengthen the mothers of Zion, and the mothers of Zion will help usher in a millenia of peace. This army of peace is being unleashed upon the earth even as we speak, and it is growing. So exciting! 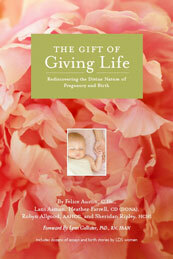 If you haven’t read our book yet, we hope you will! Do you have some other Zion-focused book recommendations? I’d also recommend Women in Eternity: Women of Zion, by Valrie Hudson Cassler. She talks about how relationships between men and women are the basis for zion and how our attitudes towards creating life contribute to a society of light or a society of darkness. If you haven’t read it you would love it. Some of it is repetitive, but some of it just blows my mind. Oh I love her! I definitely want to read it! The Pillars of Zion by Larry Barkdull is another great series on this topic. Hopefully when I complete my book it will make it on this list! One of the most meaningful books to me on the subject is, “Approaching Zion” by Hugh Nibley. Thank you so much for your insightful thoughts shared so eloquently. You are a great daughter of God!